rank W. Abagnale is one of the world's most respected authorities on the subjects of forgery, embezzlement and secure documents. For over forty years he has lectured to and consulted with hundreds of financial institutions, corporations and government agencies around the world. Mr. Abagnale has been associated with the FBI for over four decades. He lectures extensively at the FBI Academy and for the field offices of the Federal Bureau of Investigation. He is a faculty member at the National Advocacy Center (NAC) which is operated by the Department of Justice, Executive Office for United States Attorneys. 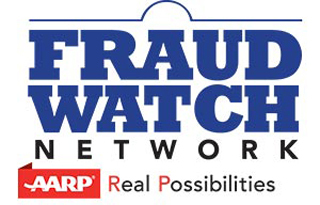 More than 14,000 financial institutions, corporations and law enforcement agencies use his fraud prevention programs. In 1998, he was selected as a distinguished member of "Pinnacle 400" by CNN Financial News. Today Mr. Abagnale is a member of the Board of Editors for Bank Fraud and IT Security, as well as the Financial Fraud Law Report. He is a member of the Advisory Board of the LexisNexis Fraud Defense Network, as well as an Advisory Board Member of the University of New Haven Masters in Investigation Program. 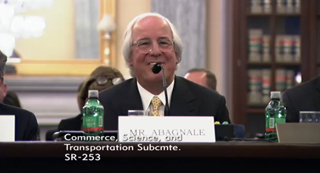 Today the majority of Mr. Abagnale's work is for the U. S. government. His company does not sell products or provide services, with the exception of his public speaking engagements, which are handled through Keppler Speakers (www.kepplerspeakers.com) in Washington, DC. Mr. Abagnale neither grants media interviews nor comments on ongoing criminal investigations. Mr. Abagnale believes that because punishment for fraud and recovery of stolen funds are so rare, prevention is the only viable course of action. Frank W. Abagnale Speaks at a Dallas High School Baccalaureate. The one type of photo you should never post on social media. The only conditions under which you should use WiFi networks at the airport. The best way to protect your phone from being hacked. The only time you should use an ATM. Published by Portfolio/Penguin ( a division of RandomHouse and available for presale on Amazon and Barnes & Noble). October 12, 2018. 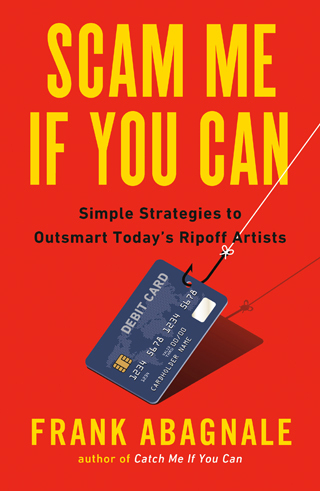 To hear Frank Abagnale's podcast, The Perfect Scam, click here. In the July 2017 issue of SmartMeeting.com, Frank was picked as one of the top speakers.Click here. Frank Abagnale testifies to the U. S. Senate Commerce Committee's subcommittee on Consumer Protection, Product Safety, Insurance and Data Security - March 21, 2017. Click here. 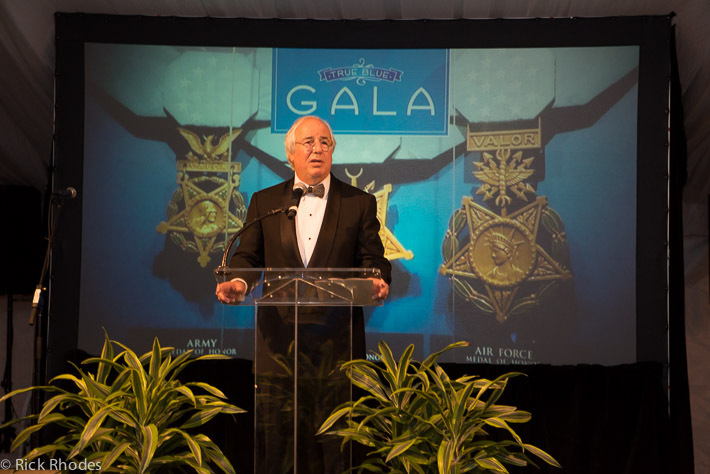 WISER`s 2016 Hero Awards recognizes the work of Frank W. Abagnale. Hero Awards are given to individuals who empower women, open doors for women and improve their lives and the lives of their families. These honorees exemplify the best in public service, scholarship, advocacy, and leadership throughout the years. In a myriad of ways, these men and women have labored to give a "hand up" to women struggling for security and dignity in old age. The future looks brighter thanks to these extraordinary people, and we are proud to have honored them. This award was presented in Washington, DC on September 20, 2016. Click here (pdf). IndyStar May 25, 2016 article. Life not defined by youthful crime spree. Click here (pdf). Frank Abagnale discusses fraud, cybercrime and mitigating risk. Click here. AARP May 2016 Bulletin. Click here. 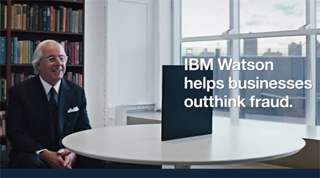 Frank Abagnale and Watson discuss how IBM is tackling security for the cognitive era. Click here. Cybersecurity and Fraud Detection Luminary Ori Eisen Unveils Stealth Security Startup Trusona. Cybersecurity Veteran Brings World Closer to a Secure Internet with Trusona; Legendary Fraud Specialist Frank Abagnale Joins Team as Advisor. See press release dated 1/19/2016. Click here (pdf). 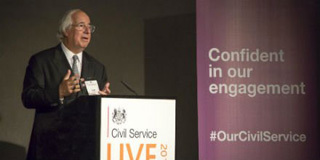 Frank Abagnale speaks at CivilServiceLive on October 6, 2015 in London. Click here. Frank Abagnale Named AARP Ambassador. See press release dated 8/26/2015. Click here (pdf). Frank Abagnale and Ori Eisen on tour for Experian in Sao Paulo, Sydney, Hong Kong, London, Madrid, Johannesburg and Milan. View video. 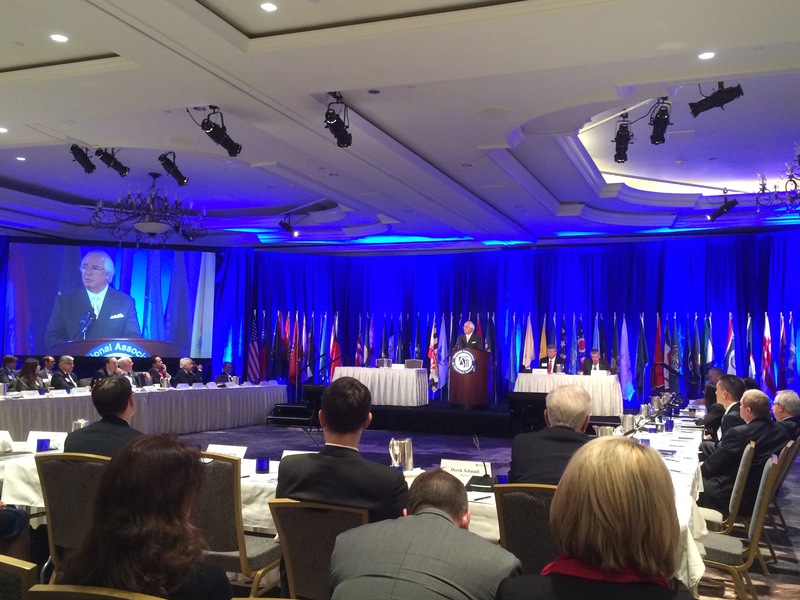 Frank Abagnale spoke to all 50 state Attorneys General at the winter meeting of the National Association of Attorneys General in Washington, DC on Tuesday, February 24, 2015. Mr. Abagnale also was the keynote speaker at the summer meeting of NAAG held in Fort Lauderdale. Mr. Abagnale talked about cybercrime, fraud and other white collar crimes. 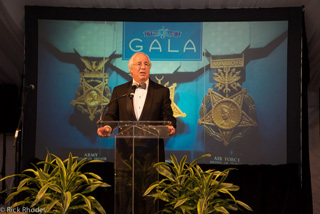 Frank Abagnale, keynote speaker, 2015 Medal of Honor Gala, January 9, 2015. The event was to honor all Medal of Honor recipients of which 15 were in attendance. 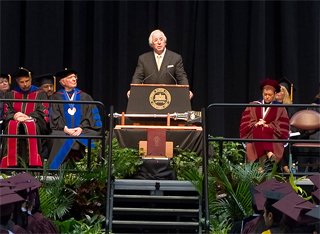 Frank Abagnale was the commencement speaker at Southern Illinois University on May 11, 2013. 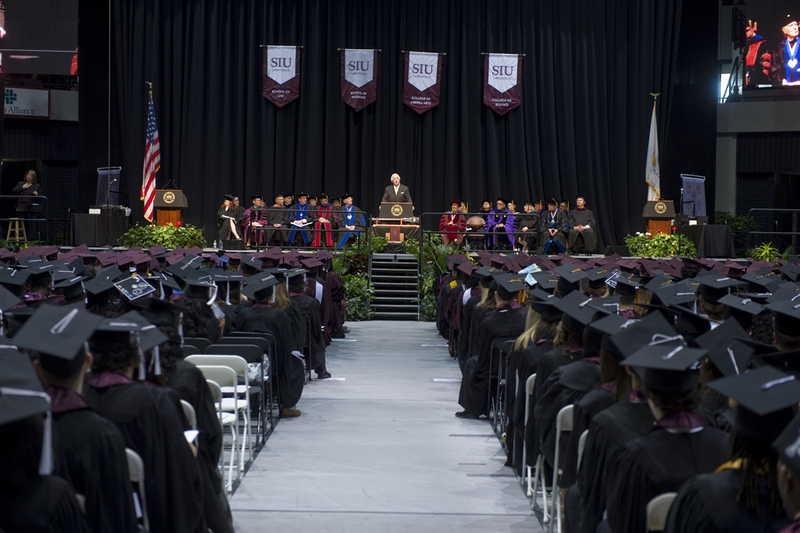 There were 20,000 in attendance and 3,800 graduates. 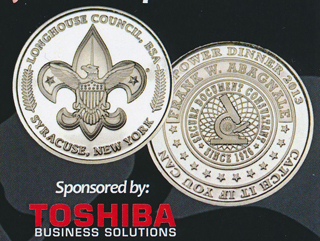 On May 1, 2013 Frank W. Abagnale was the keynote speaker for the Longhouse Council Boy Scouts of America Boypower 2013 annual fundraiser. He drew the largest audience in the 48 year history of this annual event. The dinner tickets were $250.00 per person. It was a sell out, raising over $420,000.00. Fifty pure silver coins were minted for the occasion and auctioned. 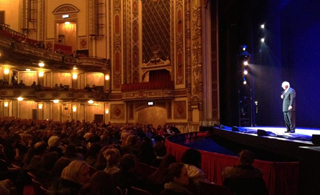 Frank Abagnale, Jr. treated the audience at Catch Me If You Can The Musical to a special question and answer session about his fascinating life story after last night's performance! Frank Abagnale Speaks at Aging Committee Hearing on Preventing Elder Financial Abuse. View video. Frank W. Abagnale on the Red Chair with CNN.com June 1, 2012. View video. May 10, 2012 - Frank Abagnale talks online privacy with Headline News. Frank W. Abagnale joins the Advisory Board of World Wings International until 2020. World Wings International Inc., is the philanthropic organization of former flight attendants of Pan American World Airways. A 501(c)(3) charitable organization, World Wings International raises funds for a variety of charities in the United States and overseas, through CARE and through various charities sponsored by its individual chapters. World Wings also supports activities that preserve Pan Am's extraordinary history and the many contributions its flight attendants made to creating "The World's Most Experienced Airline." November 1, 2010 - Frank W. Abagnale signs a two year contract as a consultant to Intuit's Small Business Division. Most recent article on Frank W. Abagnale. September 2010. View article. Summary of Frank W. Abagnale's fraud seminar. Click here (3.9 MB PDF file). Frank Abagnale helped develop and design highly secure packaging for gift cards for M T & L Card Products and Fulfillment Services (www.mtlcard.com). Interview with Frank W. Abagnale and psychologist, Dr. Paul Jenkins on ethics and family values conducted on November 12, 2008. Click here to download (56 MB MP3 file). Through the courtesy of Soundview Executive Book Summaries, a synopsis of Mr. Abagnale's recent book, "Stealing Your Life", is now available (click here). For more information on Soundview Executive Book Summaries, go to www.summary.com. Abagnale's Watermark Signature on High-Security Paper by Standard Register Will Help Thwart Document Crime, Check Forgery. See press release for more information. Frank W. Abagnale was selected as one of the 15 Differentiators in Retail by the editorial board of RIS News. December 2006 cover story. Frank W. Abagnale's new book, "Stealing Your Life" is due out April, 2007 from Random House/Broadway Books. See press release for more information. All speaking engagements and presentations by Frank W. Abagnale are handled exclusively by Keppler Speakers (www.kepplerspeakers.com). Please contact Mr. Gary McManis at (703) 516-4000 or by e-mail at gmcmanis@kepplerspeakers.com. Mr. Abagnale's offices do not handle speaking engagements. September 04' Frank W. Abagnale joined the Editorial Board of the "Bank Fraud & IT Security Report" Published by Thomson/Pratt. July 2004. Frank W. Abagnale was selected as the national spokesperson by the National Association of Insurance Commissioners for the "Stop. Call. Confirm" campaign to fight fake insurance. Advisor to 41st Parameter (www.the41.com) since its inception in 2004. Since the acquisition of 41st Parameter by Experian in 2013, Mr. Abagnale continues his role as an advisor. Partnering with Ori Eisen (founder of 41st Parameter), Mr. Abagnale continues his role as an advisor in creation of a new technology called Trusona (www.Trusona.com). Trusona was incorporated in May 2015. Standard Register Company--since the early 1980s worked with and developed security features used on car titles, birth certificates, doctors’ prescription pads, negotiable instruments, packaging and luxury items. Novell--helped develop identity management software used by thousands of corporations, governments and financial institutions. Affinion Group—helped develop PrivacyGuard, a credit monitoring service now used by over 6 million Americans, as well as in Canada and the United Kingdom. ADP—designed their current payroll check issued more than 800 million times a year for the payrolls of thousands of corporations. First Data Corp (FDC)—designed the Integrated Payment Systems (IPS) Check currently the official bank check of over 3,000 financial institutions. Safechecks, Inc.—designed the SuperCheck and SuperBusiness Check considered to be the most secure checks in the world and used by thousands of municipalities, mortgage companies, title and escrow offices, and corporations. Appleton Papers—designed the Frank W. Abagnale signature watermark paper. One of the most secure papers in the world with numerous security features built into the paper stock and distributed exclusively by Standard Register Company, USA. Audemars Piguet—designed the anti-counterfeiting technology incorporated in one of the world’s most luxurious watches. Leigh-Mardon (Australia)—one of the world’s most sophisticated secure document printers and manufacturer of credit cards and smart cards. Helped design the Australian passport, Australian postal money order and numerous official international bank checks. The 41st Parameter—partnered with and help develop ImageMask—software that digitally blocks information on checks and documents from being seen online. This technology is used by some of the nation’s largest banks. Staples, Inc.—partnered with the world’s largest office supply store bringing security products and solutions to their consumer and business customers. Sanford uni-ball—helped develop the uni-ball 207 writing instrument. The only pen in the world that cannot be altered by chemicals or solvents. Over 20 million sold annually in the United States alone. In the past 31 years Mr. Abagnale has worked with 65% of the Fortune 500 Companies in America. Designed SequrZ secure number font used by thousands of corporations, government agencies and financial institutions to secure the written and dollar amounts on negotiable instruments. Click here to see image. "I did not make this film about Frank Abagnale because of what he did . . but because of what he has done with his life the past 30 years."